with new experiences fusing fun and learning together into growth. It’s these experiences that shape aibo’s unique personality and behavior. and those deep, inner motivations dictate its behavior. 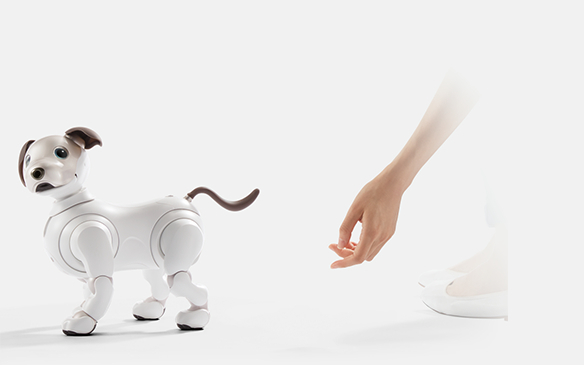 There’s always an element of unpredictability with aibo; you never can be too sure what it might do next. Thanks to those highly variable communicative capacities, life with aibo takes on a richer, more dynamic quality. aibo uses its “eyes” (a camera) as responsive interfaces, modifying its behavior based on what it sees. 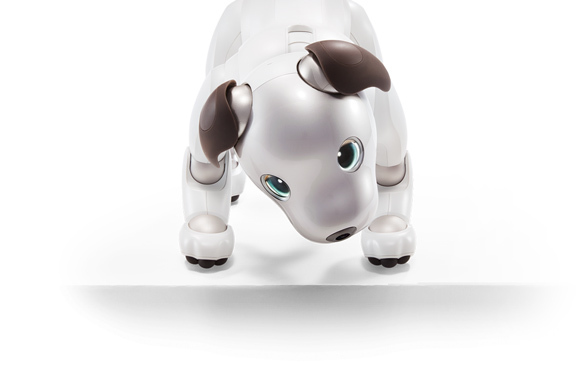 Capable of detecting obstacles, bumps, people, and more, aibo reacts accordingly. in the direction of people’s voices. 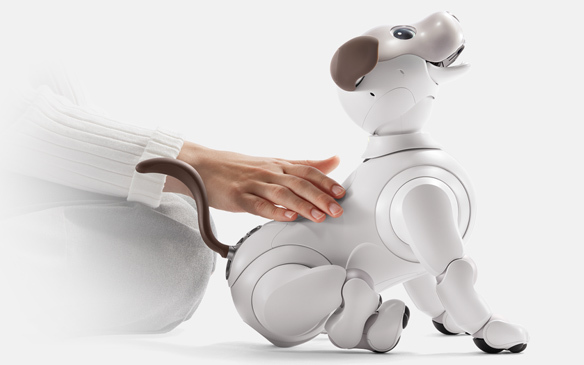 aibo loves being loved, whether it’s through a friendly compliment, a well-placed pat on the head, a scratch on the chin, or a gentle stroke down the back. If aibo ever acts up, though, you can try a little tough love, too. 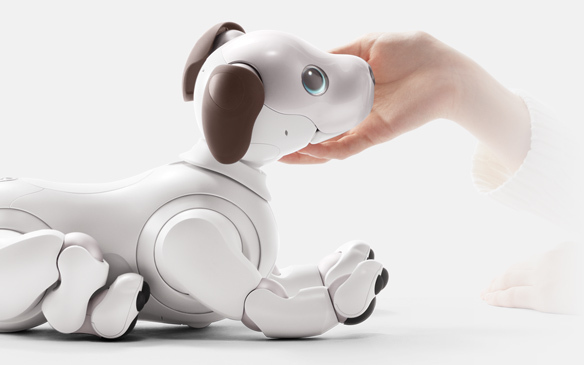 aibo even has likes and dislikes—another dimension of its personality. While it loves anything pink, it’s not a big fan of heights or tight places. aibo loves pink, which is why all the aibo toys have pink elements. 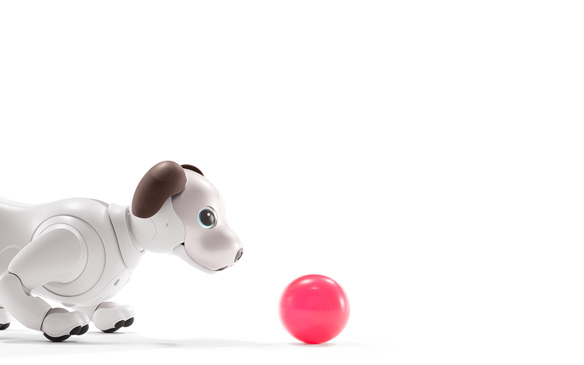 aibo gets a bit nervous when it’s up high or in a tight place—anxious enough to lose its trademark curiosity, in fact.